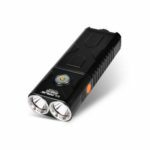 This Nitecore TINI SS Rechargeable Mini LED Flashlight features mini size, yet with the brightest output available for its size. 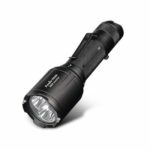 Using a powerful CREE XP-G2 S3 LED to produce an impressive 380 lumens with up to 70 yards of throw, bright enough to rival full size lights. 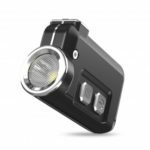 Multiple brightness levels (turbo, high, mid and low) allows you to use the exact amount of light needed for multiple scenarios like household chores, power outages at work or locating items under car seats. 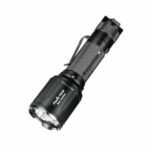 Mini keychain flashlight, yet with the brightest output available for its size, and a CREE XP-G2 S3 LED emits up to 380 lumens max output, bright enough to rival full size lights. 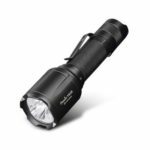 Multiple brightness levels (turbo, high, mid and low) allows you to use the exact amount of light needed for multiple scenarios like household chores, power outages at work or locating items under car seats. Can run for up to 60 hours! And it can be rechargeable from any available USB power source via Micro USB port. Available in 3 goregous stainless steel body finishes, and features the same ultra bright output in a body that&apos;s just slightly heftier for a better overall feel in larger hands. Barely noticeable on your keychain or tucked into pockets and bags for everyday carry.